Bob Maguire Chevrolet in Bordentown, New Jersey is always looking for new and innovative ways to reach potential customers. While most dealers now leverage the power of social media to engage new audiences, Bob Maguire Chevrolet in Bordentown, NJ has gone above and beyond the norm in a way that sets it apart from the crowd. Bob Maguire Chevrolet is using location-based, mobile-gaming technology. By developing a handful of fun, location-based challenges with the help of mobile-gaming company SCVNGR, Bob Maguire Chevrolet in Bordentown, NJ has developed Chevy Capture the CRUZE – a mobile treasure hunt throughout downtown Philadelphia giving residents the chance to win the prize of a brand new Chevy Cruze. 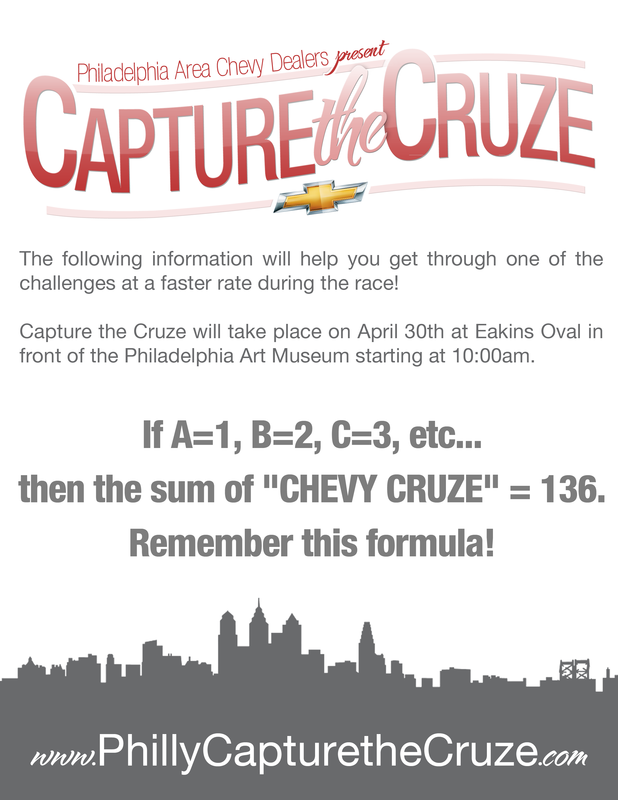 On Saturday, April 30th, Capture the Cruze participants will meet in downtown Philadelphia to begin the hunt. Teas of two will use their mobile phones to complete a series of challenges throughout the city in an attempt to earn the most points and the keys to the car. Bob Maguire Chevrolet is Bordentown, NJ is excited to see the outcome of who wins the Cruze!